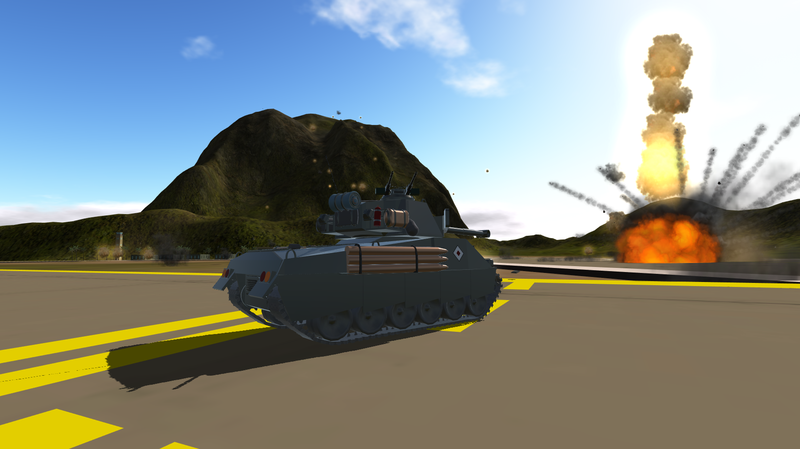 SimplePlanes | M4AX-AGDF "Sherman Kai/Emperor"
Warning! This vehicle was made and tested on a PC in High Physics. You have been warned. The Type 4 Kai or the M4AX - AGDF, most often referred to as the Sherman Lightning, was a modified version of the American M4 Sherman Medium Tank that served alongside the Type 5 in the Aleuztian Ground Defense Forces from the mid-1950s to the 1980s, where it was succeeded by the Type 61 Main Battle Tank. 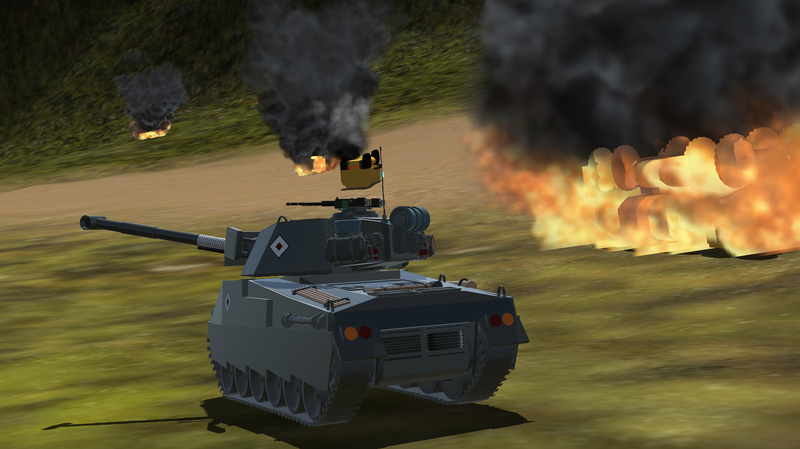 After the passing of the Misawa Order in 1946, outlining the dissolution of the Empire of Japan and it's reinstatement under the flag of the Royal State of Aleuztia, the newly-formed Aleuztian Ground Defense Forces were left with hundreds of M4A3(75)s, which have proven themselves quite potent against their Japanese counterparts, however, are now facing a deadlier threat -- Chinese 85mm-armed T-34/85s and the Soviet T-54/55 series. 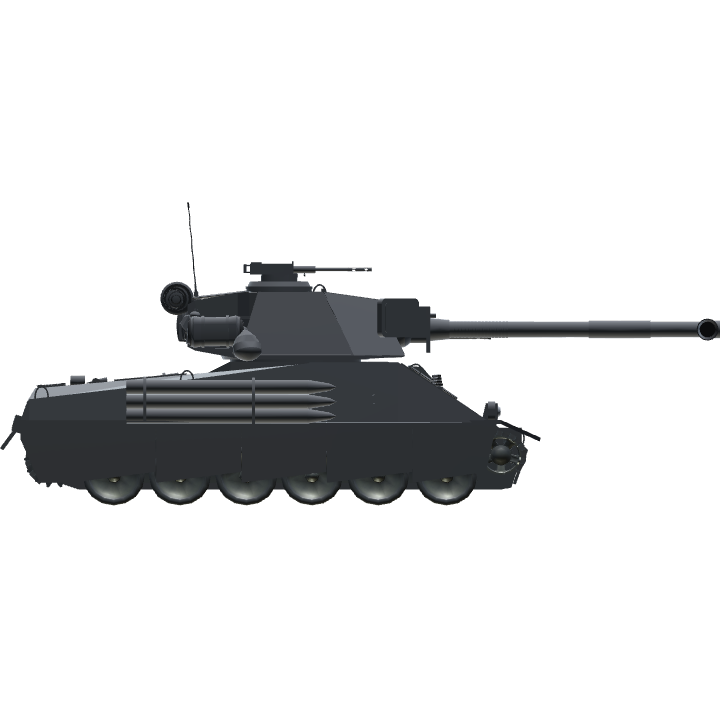 With this, Aleuztian Armed Forces - High Command issued a formal request for the procurement of tanks such as the American M26 Pershing and the British Centurion. However, this request was denied by the Aleuztian Parliament as it was deemed "unnecessary" at the time. And so, the AFHC pushed for a massive overhaul and modification program for all of their current Shermans, codenamed the Kimizuka Plan. 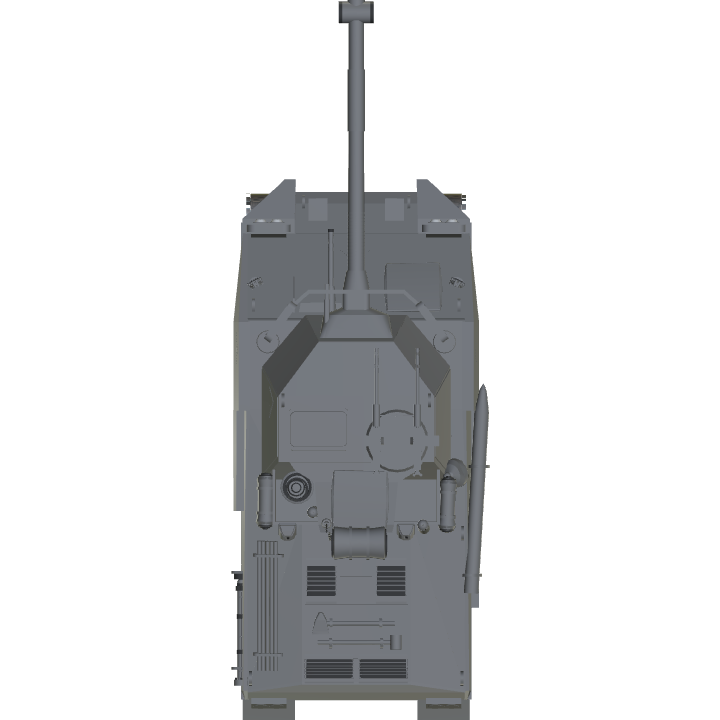 First, the turret was replaced by a larger, angled turret with attachment points for bolt-on armour. The commander's cupola receiving a T121-based replacement with twin .50 caliber M2HBs on both sides of the hatch. This gun system can be controlled from both the inside and the outside, saving crewmen the trouble of having to turn out of the tank and risking their heads. The gun mantlet was shielded further with the addition of a 100mm (3.94 in) frontal plate and later on, 50mm (1.96 in) "ears." The now-inadequate 75mm M3 gun was ditched in favor of a 93mm Autoloaded gun, which gave the new M4 heavier firepower. The Coaxial was not spared, as it was then replaced by a 20mm Autocannon for use against lightly armoured targets such as APCs and other vehicles. 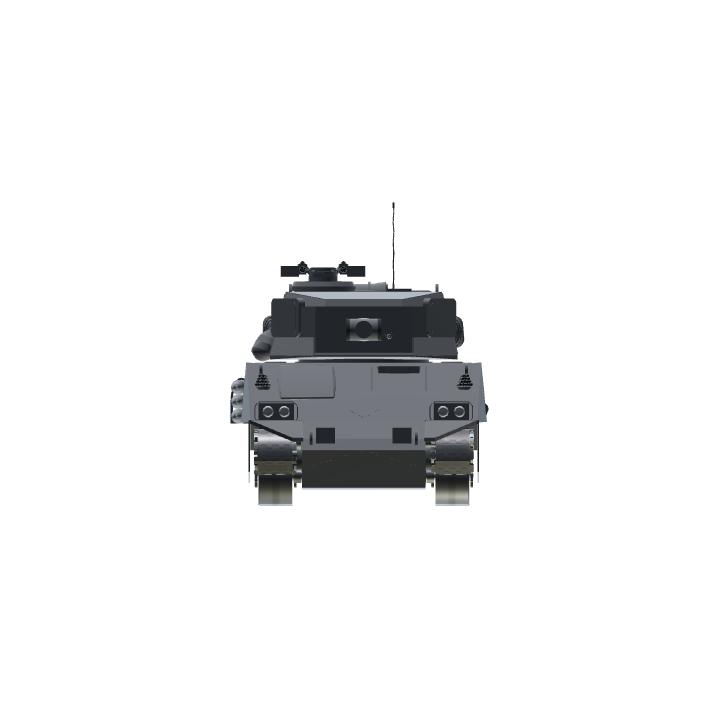 The lack of the HVSS was the most noticeable change, as it was replaced by a torsion bar suspension coming from an M4A2E4. A 76.2mm (3 in.) armour plate was welded onto the Upper Front Glacis, making a total of 152.4mm (6 in.) at 50 degrees. 55mm (2.2 in.) was also added to the front - middle sides and 38mm (1.5 in.) to the rear sides, resulting in a 133mm (5.2 in.) F/M and 114mm (4.5 in.) R.
A bundle of 14 smoke dischargers were added to either sides of the tank. An SCR 528 Communications Unit replaced the SCR 508 unit that was previously installed in the tank. The Ford GAA engine was thrown out and replaced it was a Supercharged, Twin-Turbocharged R-975 in order to push the Loyal Dog-turned-Fierce Tiger forward.. It works fine on mobile, with medium / high physic settings. Looks at tank. Oh I can't run that. * Looks at part count*. Wow, I can! And it has great detail too!